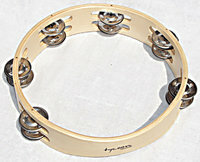 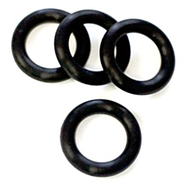 Rhythm Tech - Stick Mounted Percussion Tension Rings RT342 Fits the Rhythm Tech Stickball and Stick Jingl-er. 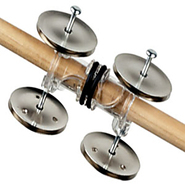 Rhythm Tech - Stick Jingler RT1412 The Stick Jingl-er is a tambourine instrument designed to mount on a drumstick. 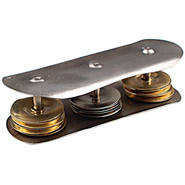 It slides easily on and off your stick to give you the ability to play tambourine grooves right on the kit. 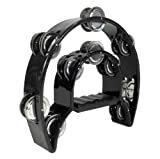 Rhythm Tech - Metalworks Jingle Shake MWJS The Jingle Shake is a hand-held tambourine-like instrument using three rows of jingles with a strong metallic sound. 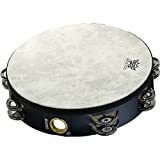 Using it singularly or in pairs players can create a variety of rhythmic sounds.